McLaren's applied technologies division has offered an eye-popping vision as to how Formula 1 may look in the distant future of 2050, including electrically powered cars, drivers assisted by artificial intelligence and the, quite frankly, mind-blowing concept of "shapeshifting active aerodynamics". F1 teams offering up concepts for the future of the sport is nothing new, but it will never stop us from absolutely loving them. As motorsport continues to push the envelope of technological advancement, it's fascinating to see where F1 teams think they could take the sport in the years to come. 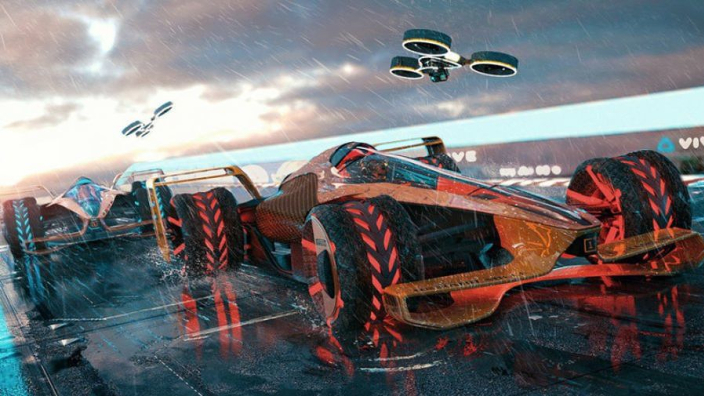 We're a little disappointed that four wheels remain – surely flying cars can't be that far down the line? !